The Board successfully conducted the test in 83 subjects. National Eligibility Test is conducted twice a year by CBSE on behalf of University Grant Commission to recruit Assistant Professor/Lecturer and for Junior Research Fellowships (JRF) in the Indian universities and colleges. The NET includes three papers which aspirants have to clear and qualify with cut off marks in each one of them separately and have to score more than an aggregate cut off marks. The first paper tests the teaching and researching abilities of the candidate. With total 100 marks, Paper I has 50 questions out of 60 are to be attempted. The second and the third paper are the papers of the candidate’s choice. After appearing in the exam, the candidates must be looking and eagerly waiting for their results to be declared at the earliest. Now, their wait is over as the results have been published on the online web portal. Here below is how to check the results. Below are steps mentioned to ease your process to check the results online. 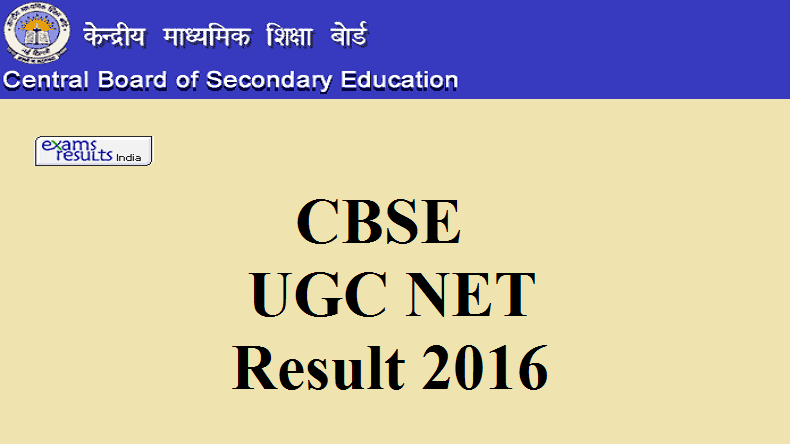 Go to the official web portal of CBSE or go to the link listed below. Look for the result area. Enter some of the required details like roll number and date o birth, etc.